A few weeks ago I started watching Brandon Sanderson’s writing classes on YouTube. It has been one of the best decisions I’ve made so far this year. In the 12 hours of this course, Sanderson goes through everything you need to know to write a book. How to create good characters, how to develop plot, magic systems and world building… And he gives you different ways to do this, not just the ways he uses himself. He also covers how publishing works and what agents are. In just 12 hours you get everything you need to write the next big book. It isn’t “this is how you write”, more “this is how you could go about writing”. I still have 2 classes to watch, but I have rewatched one of the first ones. And I have to say this has made me so motivated to write, especially since he gives so many tools to chose from. It isn’t “this is how you write”, more “this is how you could go about writing”. Suddenly it feels like I have everything I need to figure out how to write those 50 000 words (NaNoWriMo) or even more. It is wonderful! I have a goal of writing 1 page / day (of which I already have missed 2 days…) to get a routine going. And I love it! It is so possible! Are you writing / planning to write something? 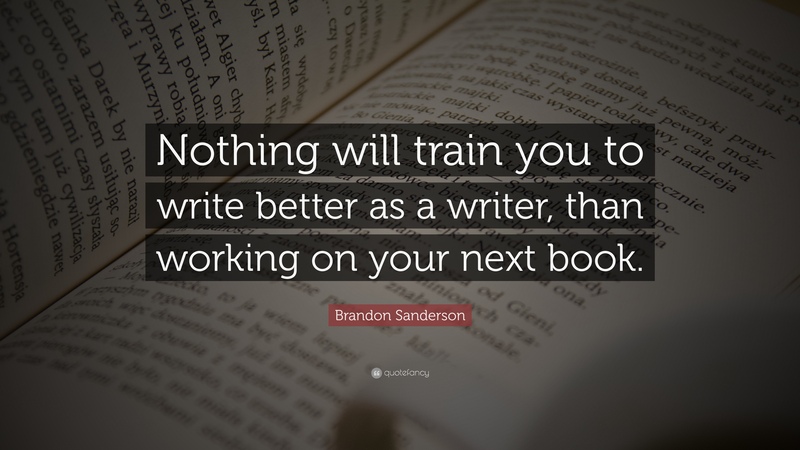 Have you seen these Brandon Sanderson’s writing classes before? I need to save this and watch the whole thing soon. Very awesome. Thanks for sharing!